Customer Picture Number 359 Selected. Cool Car decals applied. 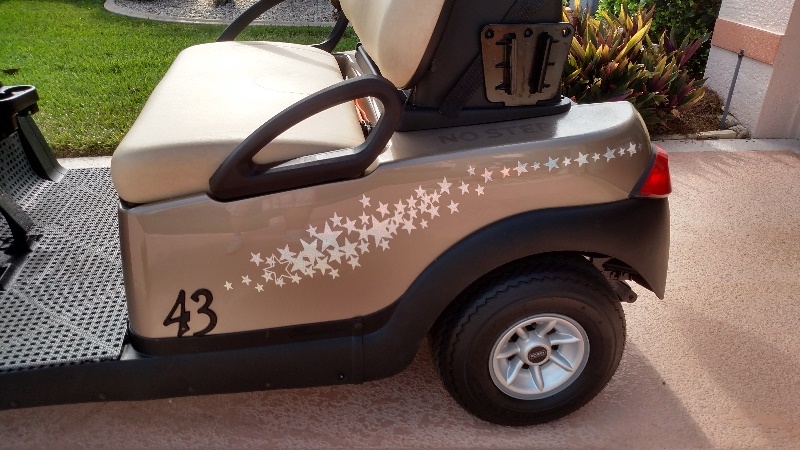 Bill custom Stars decals on his unique one of a kind golf cart.